The development of HPLC-PED represents the successful marriage of two powerful analytical technologies and has resulted in the best technique for sensitive and direct detection of biological compounds with poor optical detection properties. PED has been used extensively for the determination of carbohydrates and other polar aliphatic compounds, and as a result, numerous methods have been developed to enable the analysis of a wide variety of samples. Over the years, many articles, anecdotal information, and misinformation have permeated the scientific community, with the possible consequence of confusion or uncertainty with regard to PED on the part of the analyst. Pulsed Electrochemical Detection in High-Performance Liquid Chromatography presents a reliable, comprehensive, and relevant review of HPLC-PED and its applications. 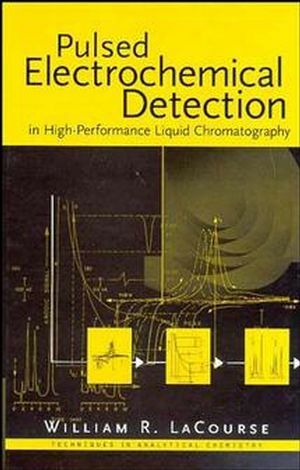 The book is divided into three major parts: background material necessary for a more thorough understanding of the principles and relevance of PED; an in-depth discussion of PED using voltammetry and other electroanalytical techniques and presenting the advantages, applicability, and optimization of all existing PED waveforms; and practical aspects of HPLC-PED, including a summary of the major applications and a look at future developments in the technique. Appendices include a pulsed voltammetry (PV) program specifically written to optimize pulsed amperometric detection (PAD) waveforms and all the known applications, categorized and listed in tabular form. For analytical chemists; biochemists; carbohydrate chemists; biotechnologists; undergraduate, graduate, and postdoctoral students; and lab technicians working in a range of areas including the pharmaceutical, medical, and food and beverage industries, this eminently readable guide is the first reliable book-length treatment of how to use PED coupled with HPLC. WILLIAM R. LaCOURSE, PhD, is a faculty member at the University of Maryland Baltimore County. He spent five years in the pharmaceutical industry studying the development of product assays of both human and veterinary formulations. Pulsed Amperometric Detection in HPLC. Integrated Pulsed Amperometric Detection and Other Advanced Potential-Time Waveforms.